My name is Ian, and I am part of Swanwatch, a swan rescue organisation based in the West Midlands. 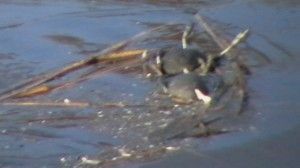 In 1999 I first noticed a dead juvenile swan on the Rattlechain Lagoon, sometimes refered to as “Rattlechain Mere.” The swan was identifiable by its distinctive darvic tag (leg ring). It had been at the nearby Sheepwash Local Nature Reserve, apparently in good health, but was found partially eaten on the Rattlechain site. 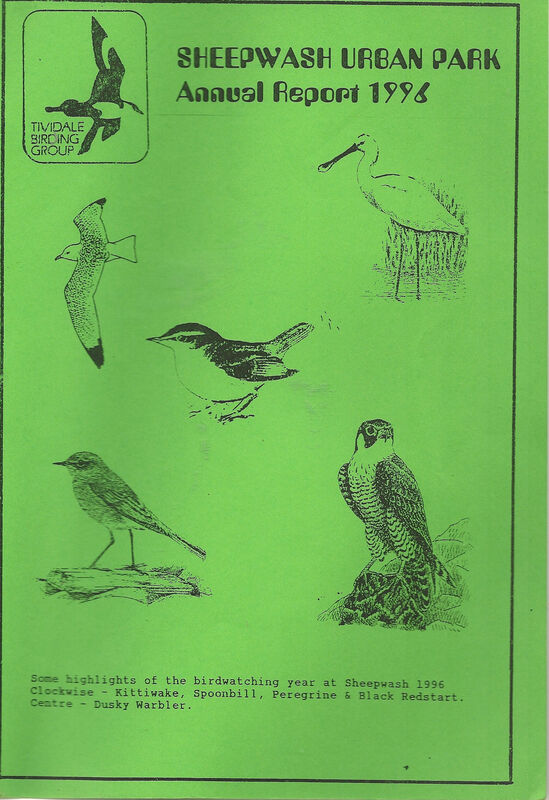 This was followed by many more dead birds in the following years, including a breeding female swan that died after attempting to nest on the site in 2003. Though most birds have been observed freshly and suddenly dead some have shown a specific pattern and series of unusual clinical signs which can be summarised as follows. Excessive drinking and violent head shaking. Becoming listless and seeking isolation towards the reeds or pipework or side of pool. Slow circular motions becoming increasingly tighter. Rhythmic head swaying followed by violent convulsions, head folding back to touch tip of tail. Drowning through inability to keep head in upright position. Birds caught alive continue convulsions, appearing blind and unresponsive to treatment. 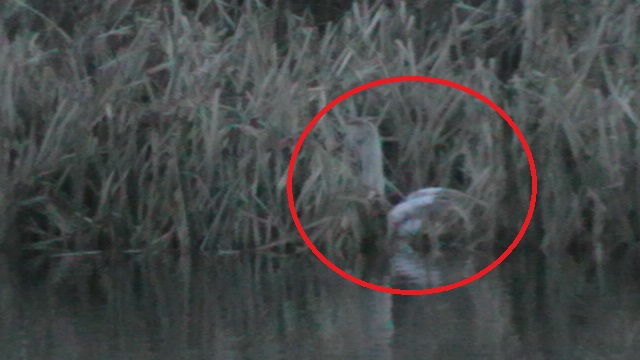 The video shows a swan on Rattlechain lagoon showing typical symptoms of white phosphorus poisoning. The swan was retrieved, and the mud washed off. It was then taken to Wychbold Swan Rescue. Twelve hours later it was dead. I have not visited the site every day. The remoteness of some parts of the pool and large reed bed areas that were present until 2013 made it impossible to see or access the whole lagoon. This is particularly the case with the smaller subsidiary lagoon which we now know to also be contaminated with white phosphorus. Foxes and other predators destroy potential evidence. Others may be removing dead birds and disposing of them. Birds may leave the site and die elsewhere. 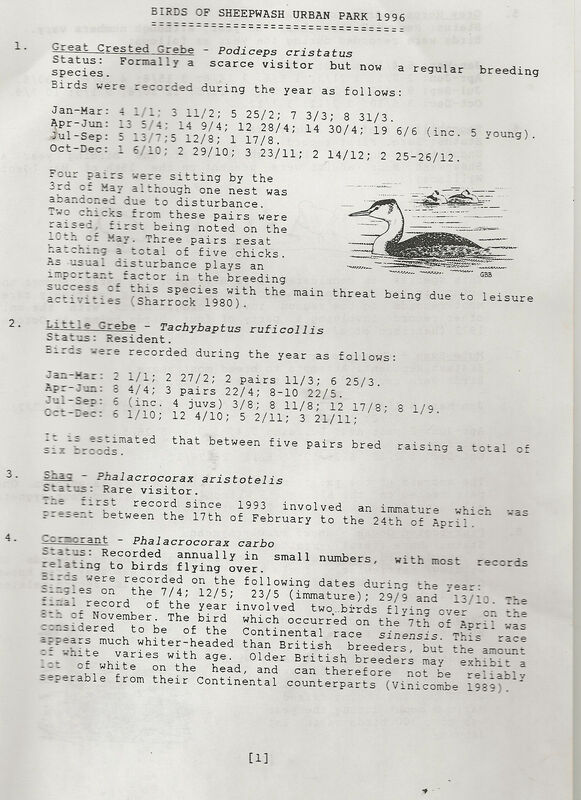 Unusual deaths of Canada geese have been noted on the Tividale Quays on the Old Mainline Canal, which is a regular fly out point for the night roosting birds from Rattlechain lagoon. On one occasion a swan that had been observed to be on Rattlechain just a day before, was found freshly dead on the canal the next day, without any cause of death being able to be identified. We are now aware that swan deaths at the site were recorded before we started as a group in the area by the local Tividale Birding Group. 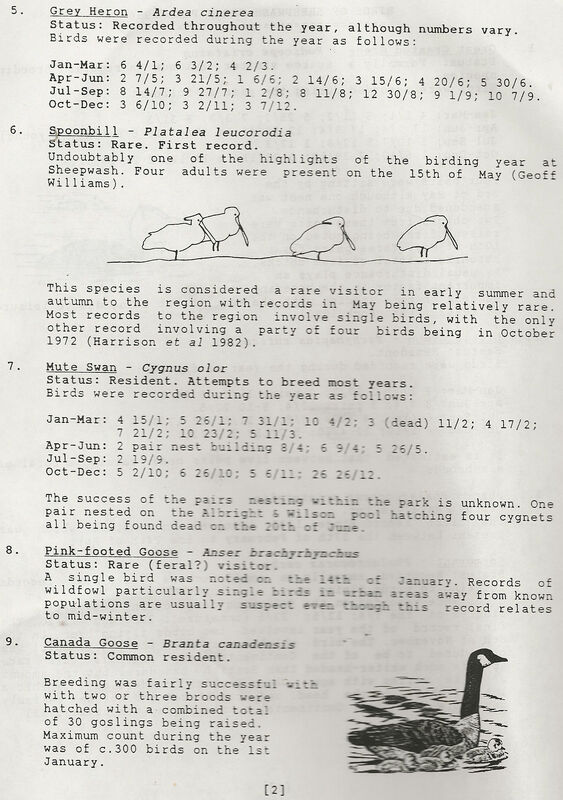 The first three pages of their 1996 report are shown below. This demonstrates that the Albright and Wilson site was and remains a direct threat to biodiversity in the local Sandwell area. It demonstrates the potential of Sheepwash that was to become classified as “a local nature reserve”, juxtaposed with the poison threat of a lagoon on the other side of the canal. There are those who have claimed to us in the past, particularly at The Environment Agency that swans bred successfully at this site before we came on the scene. They now know the truth. We have observed that a general decline in the number of wintering swans in the area also contributed to fewer swans visiting the rattlechain pool, with Swanwatch also actively removing birds from the area to reduce the chance of fatalities. Rhodia have also scared birds away from the site using both model boats and a motor boat as well as a range of other methods that have been less effective. We continue to raise the issue of the harm that this pool and its toxic contents pose and disagree with the way in which Rhodia have attempted to bury this material using a geotextile membrane. This amounts to a “cover up”, and not a “clean up”. This method has led to considerable unforseen problems of toxic phosphine gas generation at a US site where it was undertaken. The monitoring of this lagoon in the years to come will require considerable time and resources which we believe have not previously been demonstrated successfully by previous owners. 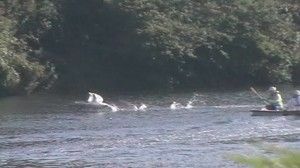 It remains to be proven with direct evidence if the threat to wildlife on the site, or that to groundwater off site has been eliminated by attempting to bury the problem out of sight. Could you tell me the source of the maps that you have used to show the toxic trail please.